N-CAP is the Niskayuna Community Action Program. Its motto is “… because it’s our community and we care.” It expresses that care by organizing excellent community-based programs that support Niskayuna’s families and children. 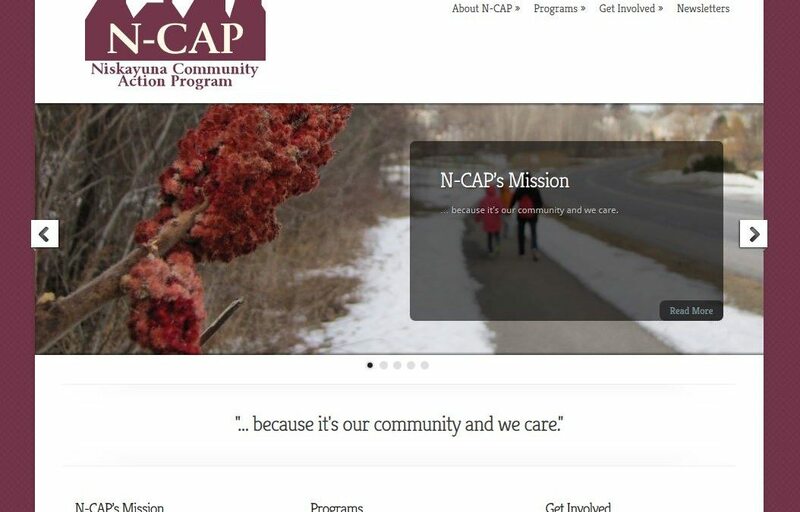 N-CAP needed a website of its own to help it to continue to grow its presence in the community. While we provided a non-profit discount, we did not skimp on product. We went with a premium and simple theme based on colors chosen by the organization. We utilized a lot of photographs from the community, many of the original photographs by Cliff Rohde. The site is responsive, meaning that it renders appropriately on screen of any size. We deployed SEO (search engine optimization) techniques to enable the site to be better found online. We deployed Google Analytics and security plugins – essentials of a well functioning, secure site – so that we could adequately monitor traffic. We also host the site, providing a managed WordPress solution (which includes ample space and bandwidth for website hosting and email accounts) for an organization that would rather focus on its programs than worry about the logistics of keeping a website up-to-date and secure with all the latest software.